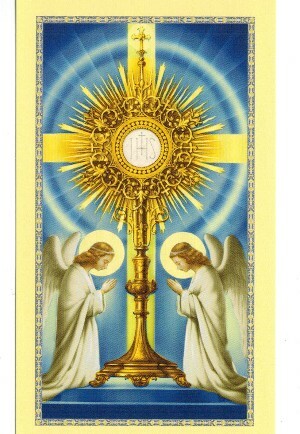 prayer on back/paper card stock Communion Prayer My Lord Jesus Christ, I firmly believe that I am about to receive, in Communion, Your Body, Your Blood, Your Soul, and Your Divinity. I believe it because You have said it and I am ready to give my life to maintain this truth. Amen. size: 4" by 3"